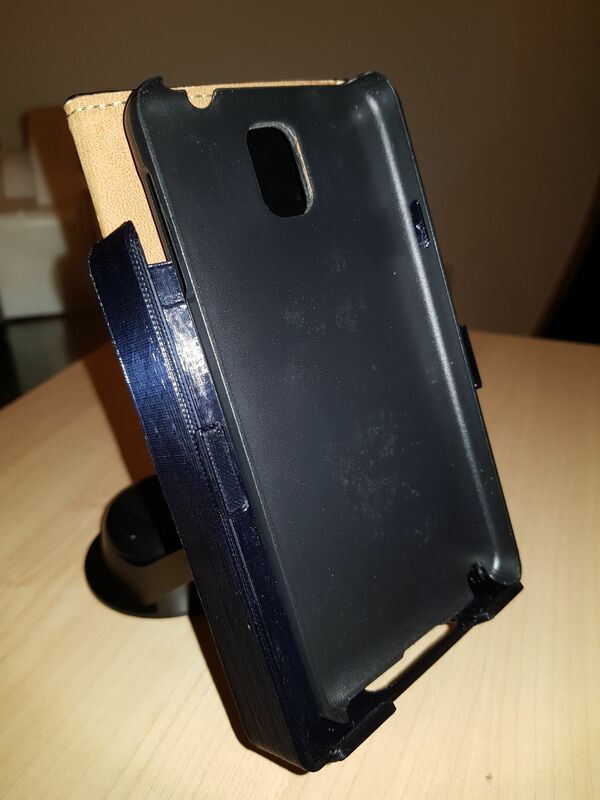 Car Phone Holder for a Note 3 + Folio Cover | Life, The Universe and ... Everything! 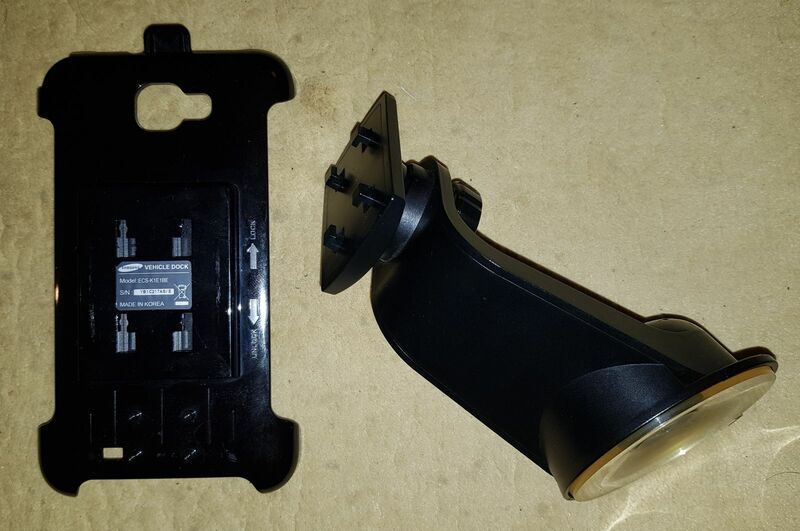 We rummaged through a drawer of old car phone holders, and found one from my original Note 1 (N7000) that seemed like it could be adapter. It's ideal because the part that holds the phone can be detached from the base -- this is a common design for car phone holders. 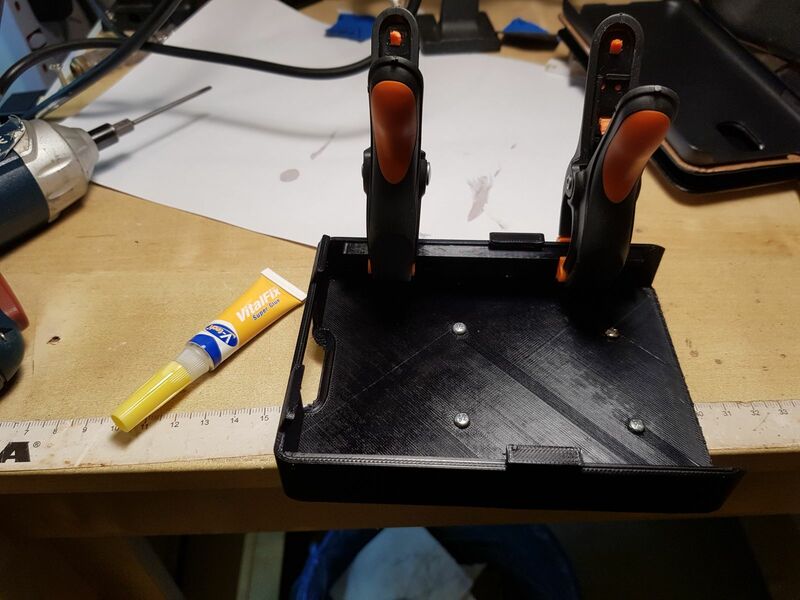 I planned to reuse the base and 3D print a new holder. 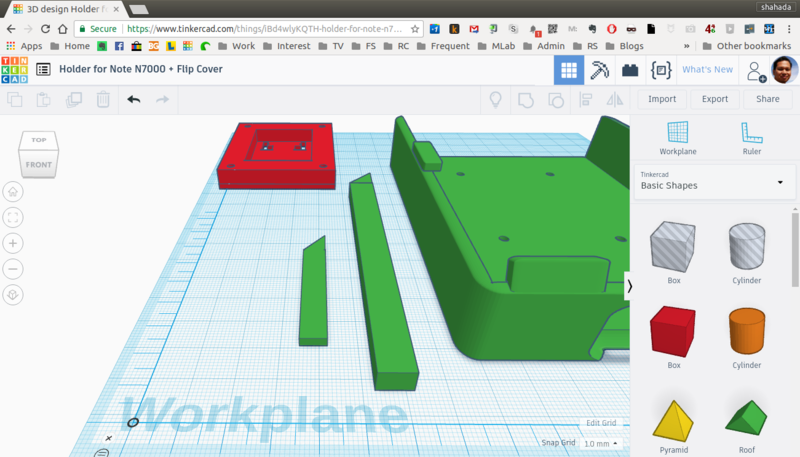 I then designed something to hold the phone, with the idea of using m3x10 screws to attach the two pieces together. 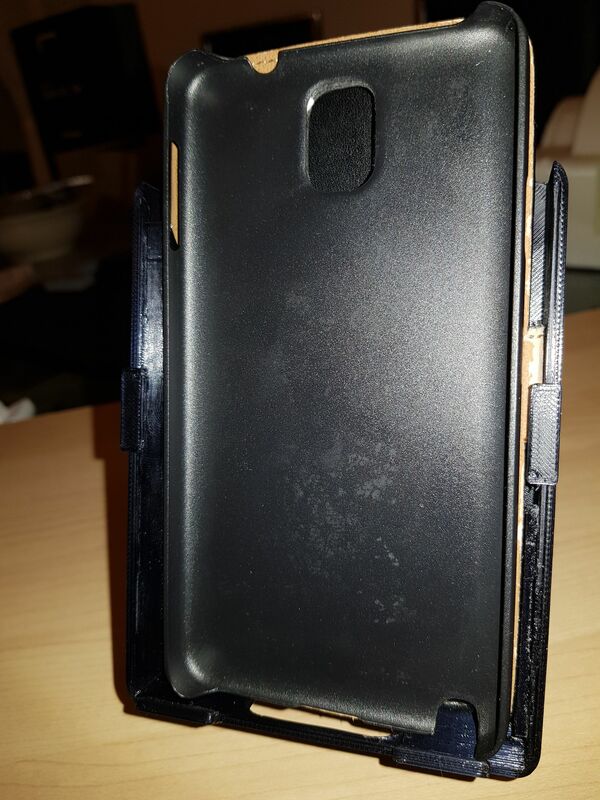 The idea is to slide the phone in (with the cover folded back) from the top. I put tabs on the bottom and side edges, to prevent the phone from falling out forwards. The tabs worked and prevented the phone from falling out the front ... however there was some wobble when the phone was in the holder. 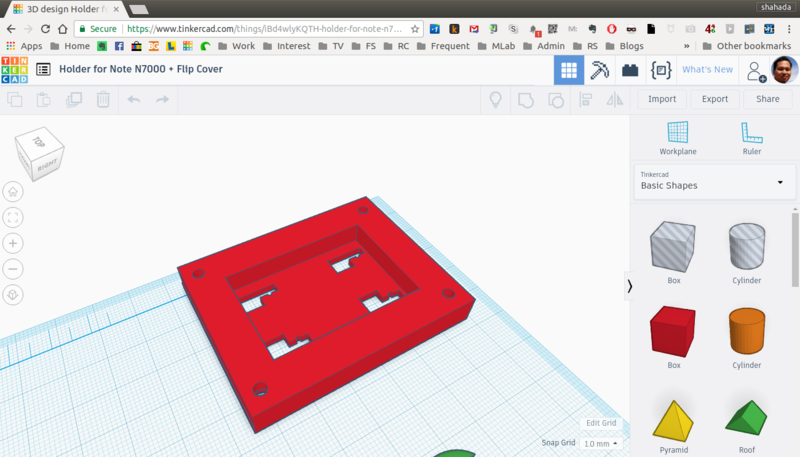 I solved it by printing out two "slider guides". 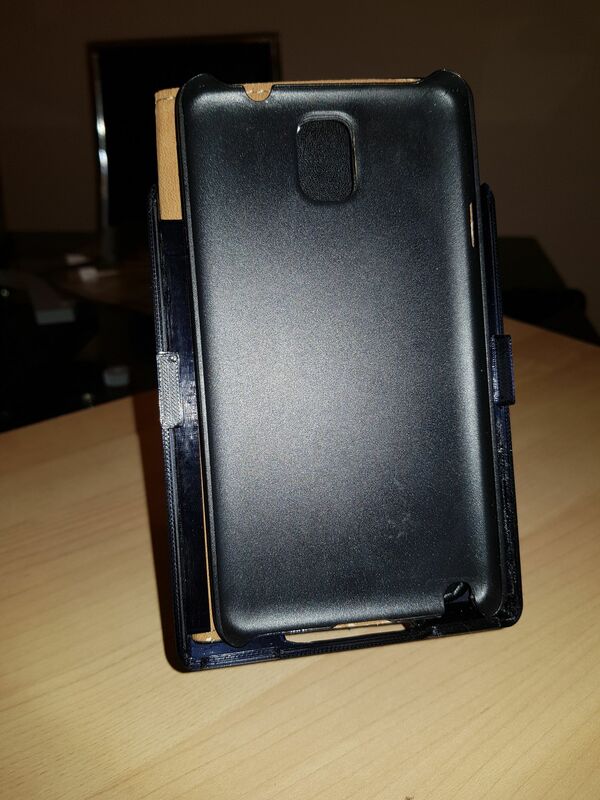 I didn't want to reprint the entire holder, so I super-glued to the sides of the case. 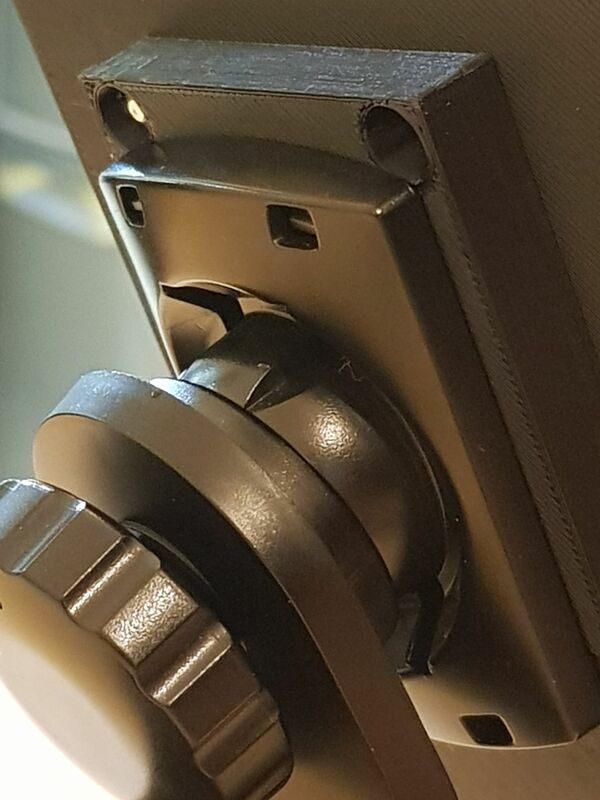 Since I was using superglue anyway, I left out the screws and just glued the bit with the mounting holes to the back of the holder. 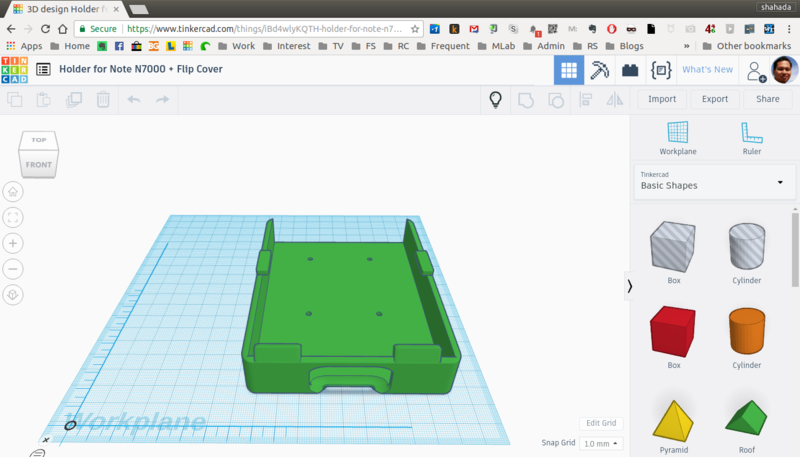 I printed it in PLA; I'm not sure if this will stand the heat under a car's windscreen ... if it fails I'll have to buy some black ABS and re-print it.